Timberline Animal Hospital is equipped and staffed to perform a wide range of veterinary surgery procedures in our hospital. 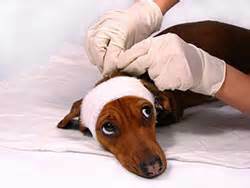 We understand that surgery can be stressful for you and your pet. Our goal is to provide you with all of the information you need to make an informed decision about your pet’s medical treatment. We uphold the highest standard of care for your four-legged family members. We offer many other surgical procedures. Please call for details. Comprehensive pain management before, during, and after your pet’s surgery. Continuous care by a recovery technician. Customized discharge instructions for your pet's at-home recovery. This is scheduled prior your pet’s surgery to discuss all options. Dr. Rowe will discuss your pet’s medical issues, options and outcomes of your pet’s procedure and the risks associated with the procedure. You are encouraged to ask any questions during this time. Dr. Rowe will also discuss post-operative care and recovery and go over the cost estimate for the procedure. This is our standard of care for all surgeries. Blood tests check many vital parameters of your pet’s internal health including, liver and kidney function and red and white blood cell counts prior to putting your pet under anesthesia. To keep your pet hydrated and maintain blood pressure during surgery. Because your pet cannot tell us when they are in pain, we are pro-active with your pet’s pain management for all surgical procedures. We provide pain medication before, during and after your pet’s procedure. We schedule go-home appointments when you drop your pet off for their procedure. These appointments allow our medical team to meet with you, customize discharge instructions for your pet's at-home recovery, and go over their procedure. 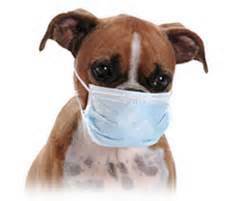 We are also available for questions or concerns after your pet’s procedure.